Known for his success as a conceptual advertising photographer, George Diebold is an artist who draws his inspiration from nature as well as man’s creations. 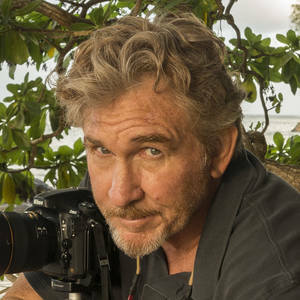 His career has spanned more than three decades creating images for hundreds of international clients. Trained by one of Life Magazine’s foremost illustrators, and formally educated as an interior designer, George Diebold has blurred the line between his commercial, personal and fine art work. George Diebold's work is part of the permanent collection of American Landscapes at the Montclair Art Museum, The Cleveland Museum of Art, The Mesa Contemporary Arts Museum and The Nelson Atkins Museum. His images have been featured in Graphis International, Communication Arts and Studio Photography. George lives in New Jersey with his wife, Lisa. When not shooting in his East Coast studio, George is on the road or in Hawaii, where he maintains another studio on the island of Kauai. Here at Saatchi Art you have the opportunity to purchase, un-mounted, open end editions of George's eclectic, experimental images which are priced far less then his large scale signed pieces. to get the latest news on what I'm current involved in.